This stately executive home is now FOR LEASE in one of Zionsville’s most popular, rolling & centrally located neighborhoods. The five bedrooms with a smart floor plan makes family gatherings easy on all floors. There’s a FABULOUS cathedral great room with exposed beams and a stone fireplace! The walk-out basement has an entertaining kitchen, storage, a large gathering room for billiards or theatre plus a fifth bedroom and full bath. Ready for immediate occupancy. Pets by approval with deposit. Call Jennifer today for more details or to arrange a private tour! Check out the listing here and share with a friend! 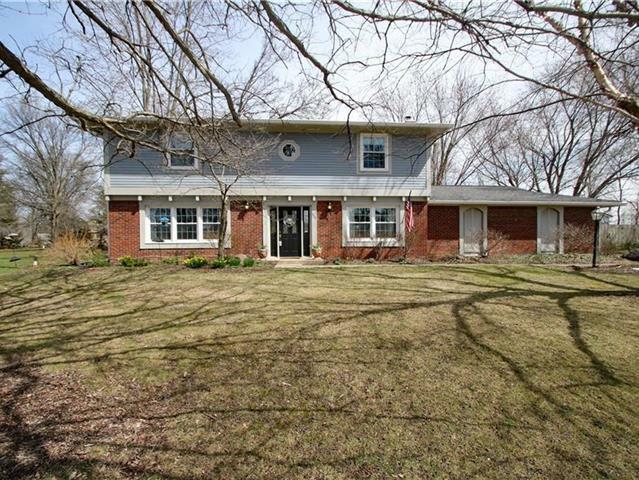 JUST LISTED in Zionsville’s Buttondown Farms! Inviting, spacious & well-appointed, this custom home is nestled in a cul-de-sac with a phenomenal, wooded lot in the heart of town, but off the beaten path. French-country in its style, updated & modern in its decor and finishes, with specialty features that make it stand out (pristine wide-plank flooring, built-ins, columns, vaulted ceilings, even a tin ceiling in the kitchen!) The owners’ suite on the main floor includes a private sitting area and grand bath, four spacious bedrooms on the upper floor + a newly-finished bonus room to indulge your hobbies! The walk-out basement will be your escape from the winter blahs, with a wet bar, wine cellar, and easy access to the hot tub! Storage is abundant & the two laundry rooms will ease your daily chores. This is one to see! Call Jennifer today for more details or to arrange a private tour. JUST LISTED in Pike Township! You will fall in love with this kitchen! Completely renovated in recent years with custom cabinets, fine granite countertops & an island table at its center that will surely be the hub of your home. And then you’re going to step out onto the deck and take in the large, treed lawn & privacy fence and say, “This is The One!” From the dramatic foyer to the well-appointed master suite, this home is special with its smart and spacious floor plan, sunny windows, cozy great room and three-car garage, it’ll meet the needs of everyone in your family in one of Pike Townhip’s most popular neighborhoods. Ready for immediate move-in. Call Jennifer today for more details and to schedule your private tour! 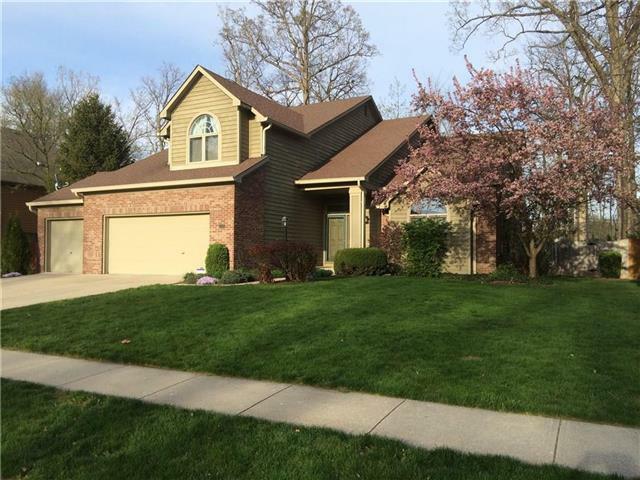 JUST LISTED in Zionsville’s Sycamore Bend! Located at the heart of town, within a walk to the trail & parks, close to Pleasantview, ZMS & ZHS, you’ll love the incredibly charming interior & the enormous fenced yard offered with this classic two-story that has been meticulously maintained and updated. It’s ready for you to move right in! The cozy family room on the main floor is where you’ll spend the majority of your time, warmed by the wood-burning fireplace, bathed in the sunlight that streams through the windows. And the bonus room is a great place to send your kiddos, indulge your hobbies, run a home-based business or set up your personal fitness center. Four large bedrooms upstairs provide an abundance of space for the whole family. Put this one at the top of your MUST SEE list. Call Jennifer today for MANY more details and to schedule your private tour! The top 5 reasons why you’ll love this one: 1) Impressive two-story great room with a gorgeous wall of windows that allows the sunlight to stream in 2) Quiet culdesac location with a large, landscaped & fenced lot (mature trees included!) 3) Finished basement with wet bar, rec room & exercise room (also considered the 5th bedroom) 4) Main-floor owners’ suite with updated bath plus a private entrance onto the deck, three large bedrooms up with a loft & work station 5) Stylish, quality finishes on every floor and updates throughout! All this is located just steps from the neighborhood amenity center within a short bike ride to the trails & Azionaqua. There’s more to say, but you’ll just have to see it for yourself to fall in love! Completely move-in condition. Call Jennifer today for MANY more details and to schedule your private tour!